Cottons are the perfect yarn for knitting or crochet in the summer months. Light and cool, cottons natural fibres mean it is breathable and great at wicking away moisture, and the smoothness of our mercerised cotton means that it wont itch or pick at your skin. Mercerised means that cotton has been treated in a certain way that makes it stronger and also adds a subtle lustre that gives it a little something extra over and above regular cotton. This 100% cotton range includes some beautiful, rich colours that work equally well to stand out in the summer months, or blend with the rich hues of winter time. 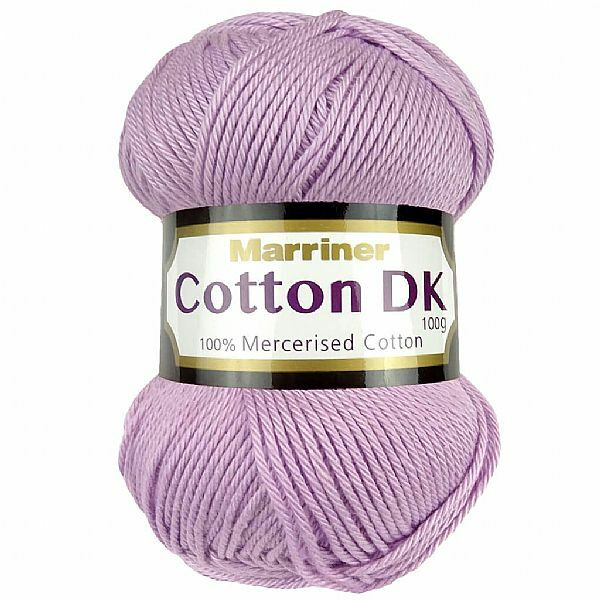 This is also suitable to be used with any DK pattern in place of your normal double knitting wool, although we would recommend adding an extra ball or two on top of the pattern requirements. Take a look at our beautiful Mercerised Cotton colour packs. Watch our video below to learn more about Mercerised cotton and our other cotton options. Care Instructions: Machine Wash/ Wool Wash 30°C. Do not tumble dry. Cool Iron.